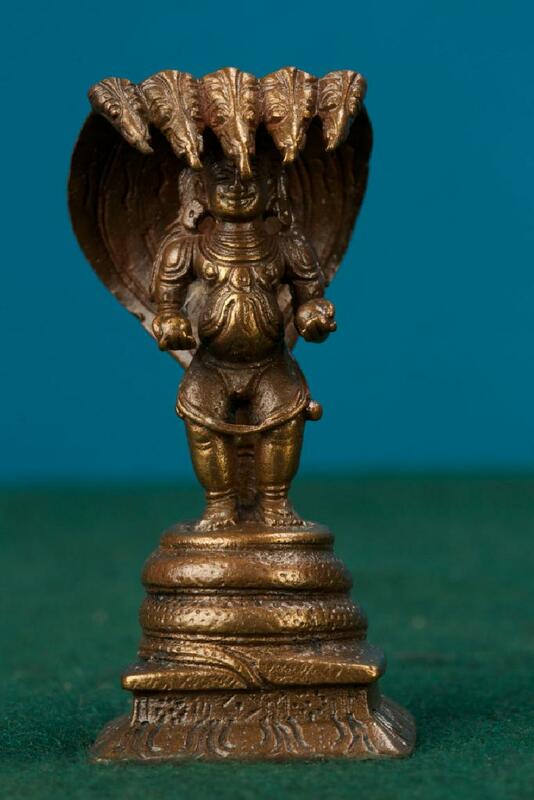 This is an appealing miniature figure of Kaliya Krishna. Kaliya Krishna is Lord Krishna standing under the five hooded serpent Kaliya. In this exhibit Lord Krishna holds balls of butter in both his hands.